There have been 1,023 images uploaded to this topic. (View topic image gallery). Topic indices are generated from key posts and maintained by Pinside Editors. For more information, or to become an editor yourself read this post! There are 7003 posts in this topic. You are on page 134 of 141. Now try it with the glass on. Also, your death star needs adjustment. 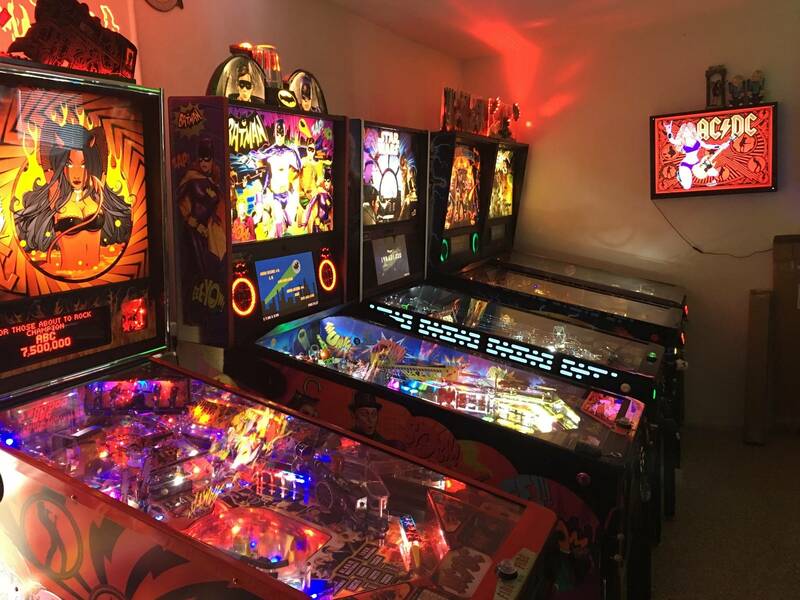 I have nothing to prove you know... im 45 yo so im not a kid... i love pinball, and i love so much that for me, i do everything to play the more properly. But its like that. I have finished it after around 200 games... but, i have not finished the final of hoth and tattooine. 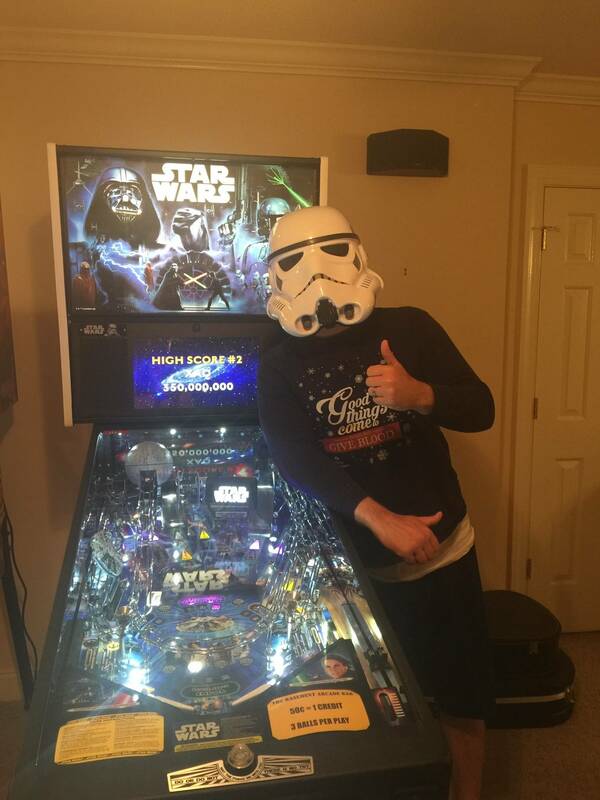 So the pinball stay challenging for me. And i will try to complete the 4 wizards. 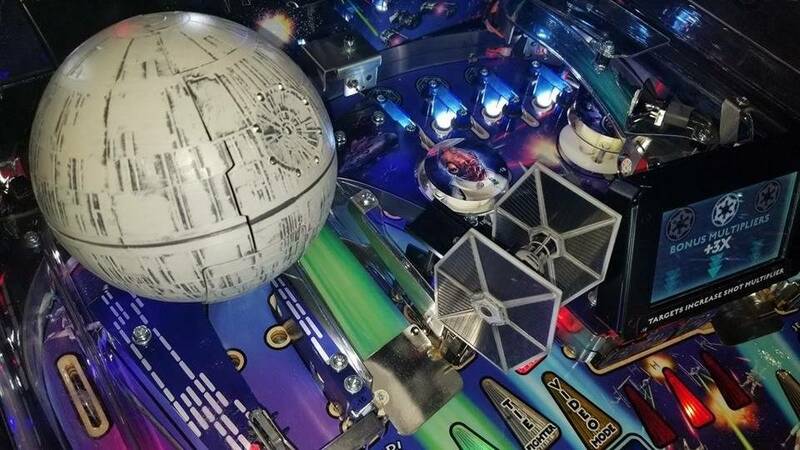 That’s the cool thing about this pin if you defeated the Emperor with one hero you can now move on to a different one for a different adventure.... have fun and don’t forget to try and load the hyper loop with 4+ balls. I just don't see how it is possible with the outlanes set to stock and 3 ball. It is a drain monster. - i have adjusted my shooter lane with the screw under the plastic... and wow, no more drain at the start. - i have put classic rubber on the 2 flips (silicone has clearly less precision in the shots). Same on the outlane post. - i just search the 40x multiplicator when i am at around 30x, and i launch the hyperspace or the videogame (950 millions is my record for the video game). 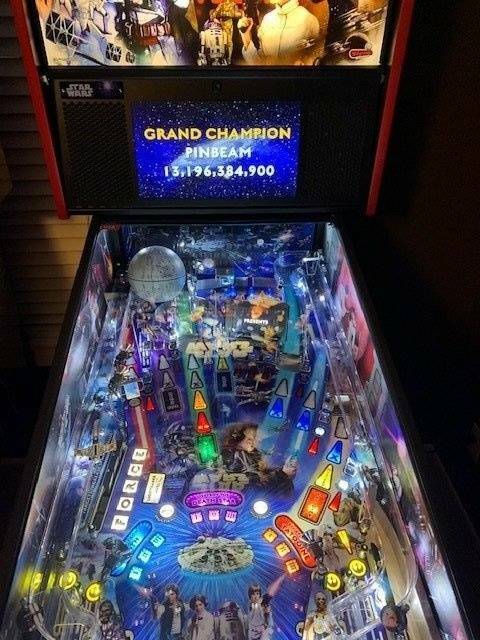 sometimes, i put 2 balls in the hyperspace ramps and im waiting but the pin dont give me other balls... i must wait that the 2 balls are descending of the ramps... dont understand why ? Seems to be a bug or something. Oddity...I was randomly pressing the flipper buttons duting attract mode and all of a sudden the screen said something like "Competition Mode Ready - Press Start" then a countdown from 5 in the corner. C-3PO said something like "You can't go in there, that's forbidden." I wasn't able to reproduce it. Any idea what I stumbled upon? Nothing top secret. Holding one of the flippers buttons down during attract mode will give you the option to start competition mode, which essentially makes all of the seemly random mystery awards deterministic. The callout you heard was totally random and a bunch of them can be occasionally triggered in attract mode by hitting flipper buttons. However, there are a couple other flipper button combinations you can do in attract mode that are sort of Easter eggs. You can google them easy enough, and I am sure they are buried in this thread somewhere as well. In case you know them, it would be cool to share. The only one I know is deadflip's code. "L&R L-L-L-L R L-L-L-L-L R L R-R"
The most recent Stern of the Union communication didn't offer up any real "new" topper news. Same ol' same ol' - it's approved...blah blah..
My bottom left spotlight led keeps coming loose. Doesn't fall out, just becomes loose enough to not work. I can pop it back in, but after 1 ball, will be out again. What is the best fix? 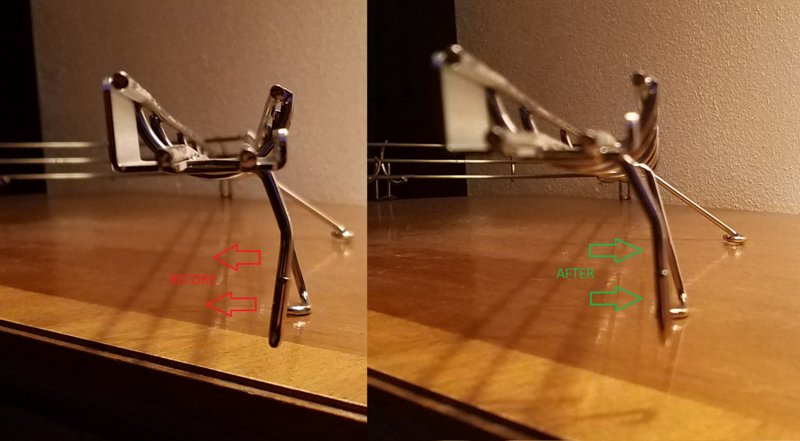 Hot glue or replace with a new/different LED? 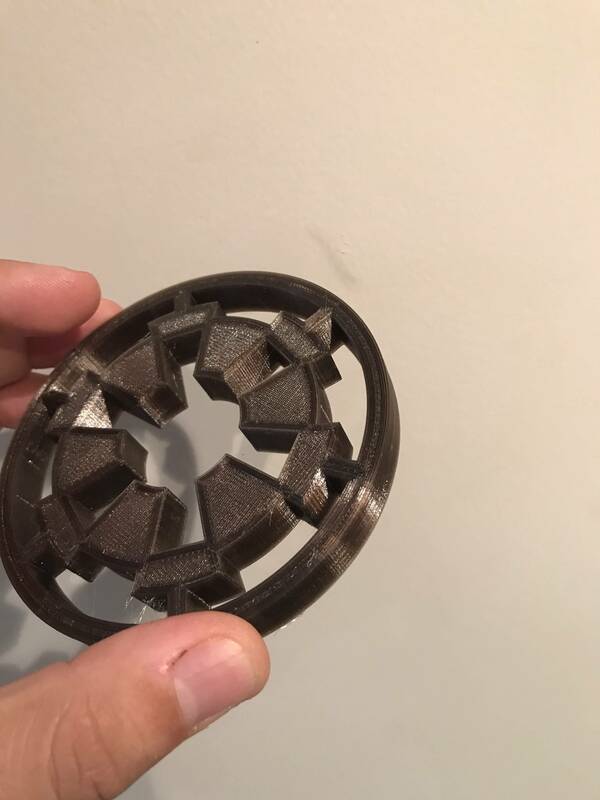 Does it have the retaining clip installed? Got my NIB Star Wars Pro last Friday, am loving it! The flow is excellent and when you learn the shots and catching the ball it is a manageable game despite some of the bad reviews I've read. Got to and beat the emperor, but was too damn nervous to stop and take a picture. 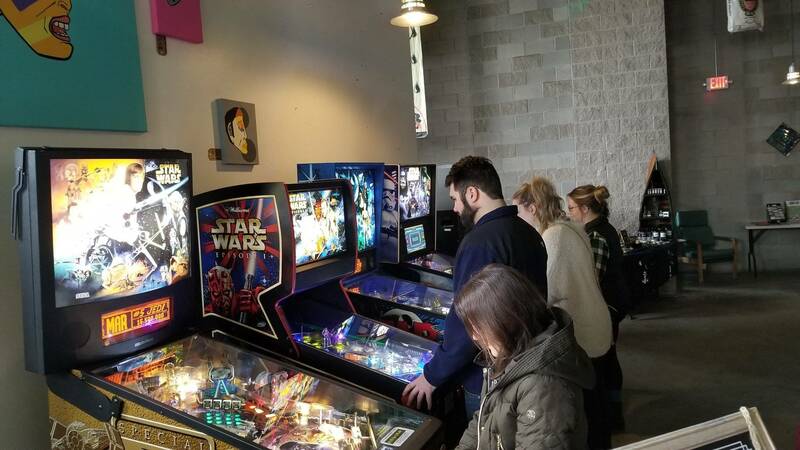 I think the light shows, especially during lightsaber duel and emperor, are what makes this machine such a great experience that will keep drawing me back. I’ve owned the game since it launched and have yet to get to the emporer. 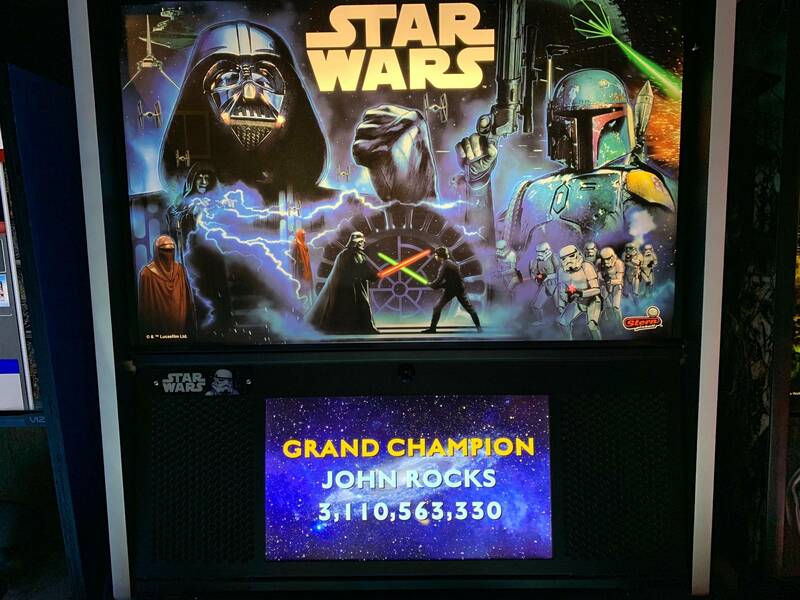 I need a pinball coach! Well I'm single, non-social, and play a lot every night . Has the game changed a lot with code updates from release? It has. 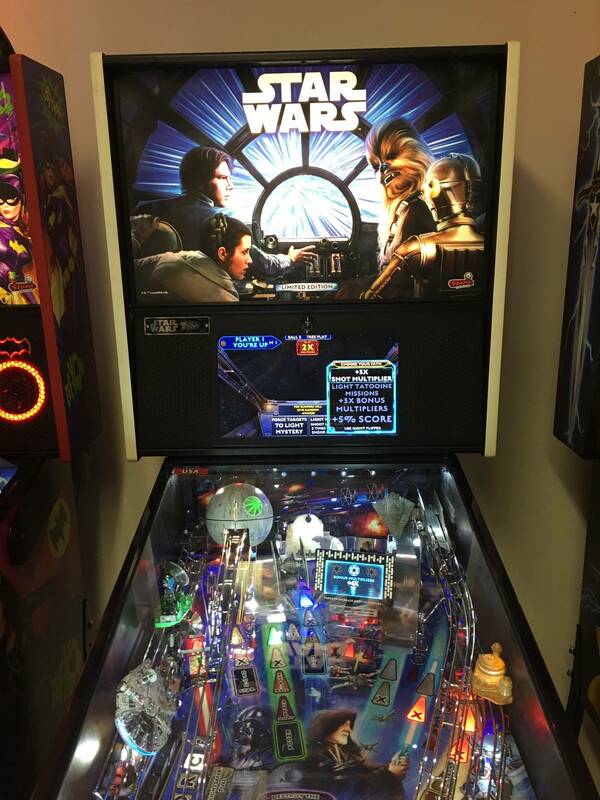 When it launched there was no video mode and no lightsaber duel. Honestly I wish I could reduce the frequency of video mode! It drives me crazy now. I've had it 6 days and wish I could reduce the video mode. I think you can decrease the duration of it in the adjustment settings. Really? My two most disliked modes. Would there be any harm in rolling back? I wouldn't think so, it would just shorten the duration of it, which would result in less scoring potential I guess. But damn it shakes the hell out of my shaker motor and is annoying. Why did you guys install a shaker motor if you don't like it when the game shakes? Mostly it is fine, the endgame and asteroid shakes are particularly violent. Obviously we expect shaking after installing a shaker. I like the shaker effects. If my ship got hit by an asteroid or the Death Star blew me up (end game animation), I would hope it should shake pretty aggressively! I agree the shaker motor is perfect in Star Wars, except during video mode, just my opinion though. 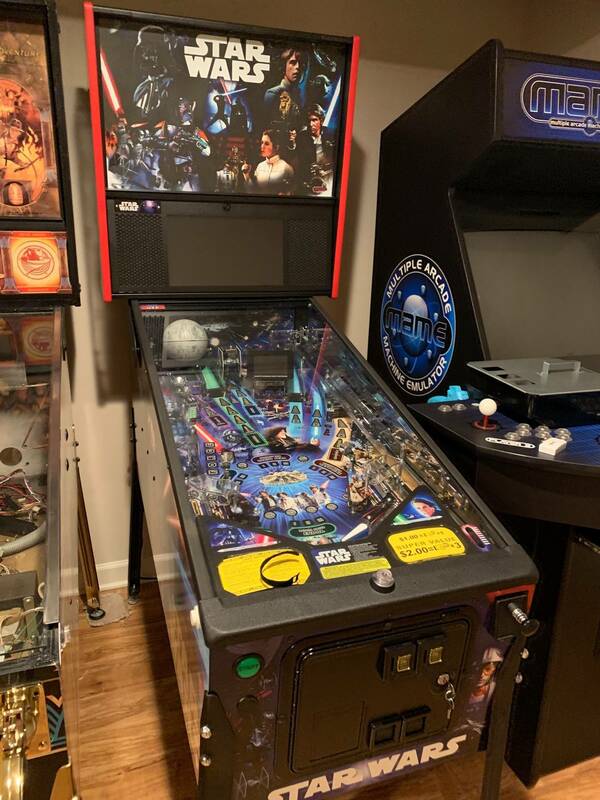 Joined the club tonight... only had time for one game. Very excited to be in the galaxy !!! 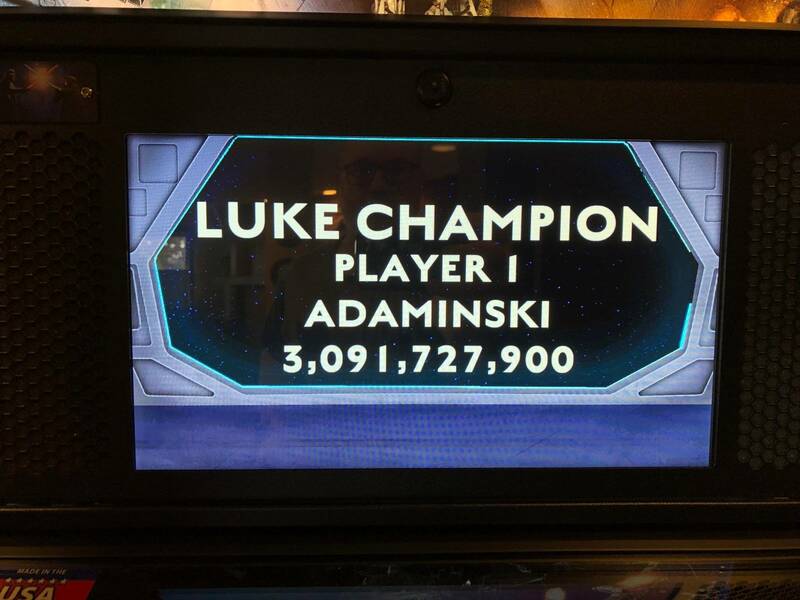 I’m with this guy, how many asteroids are you hitting per run? If it’s more than 1or 2, probably a sign you’re too drunk to be playing anyhow. I've never had a clean run. Probably because I don't like video modes and I have never really tried. 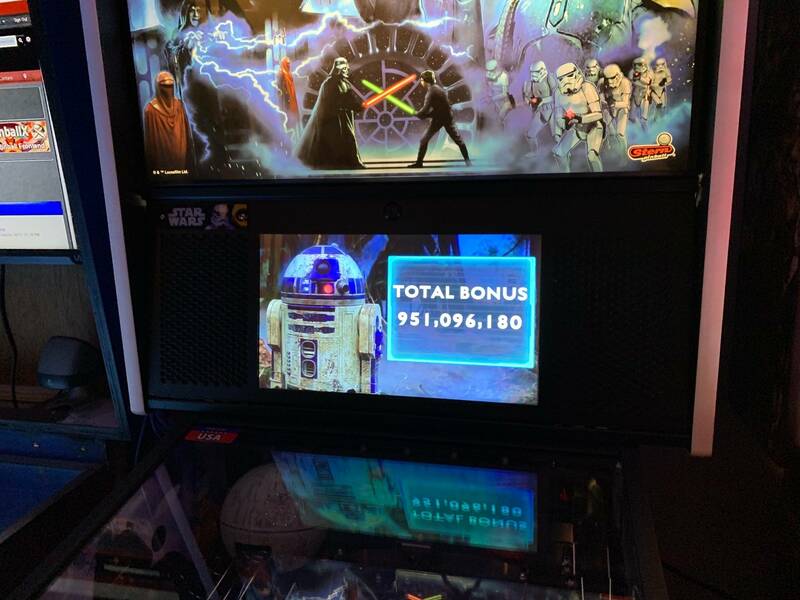 It's just 15 seconds of intermission before getting back to playing pinball. I have gotten almost a billion on a level 2 40X video mode. It is pretty lucrative. I like it. It's a throwback to retro gaming. Gyruss is the game it pays homage to. I think you could very very early code. Prerelease code. crazylevi played one in London early on with a different video mode. I think Disney rejected it since it since the Falcon doesn't shoot during that scene. Haven't looked at the ratings on S.W. for awhile. It's already down to 33! I wonder if it's going to fall completely off the top 100? I think its a hugely under appreciated game. I think its a hugely under appreciated game. I've had this game for about a week... I've put about 50 or so games on it. I'm super satisfied with this title. I am a Star Wars nut (that helps) but that alone isn't enough to keep me interested. I like the fact that this game is really fast. I've found that fast games appeal to me more and consequently I also like loop shots and this one has lots of both. It is a complicated game. I was playing with my friend and he was like "what are my goals here?". 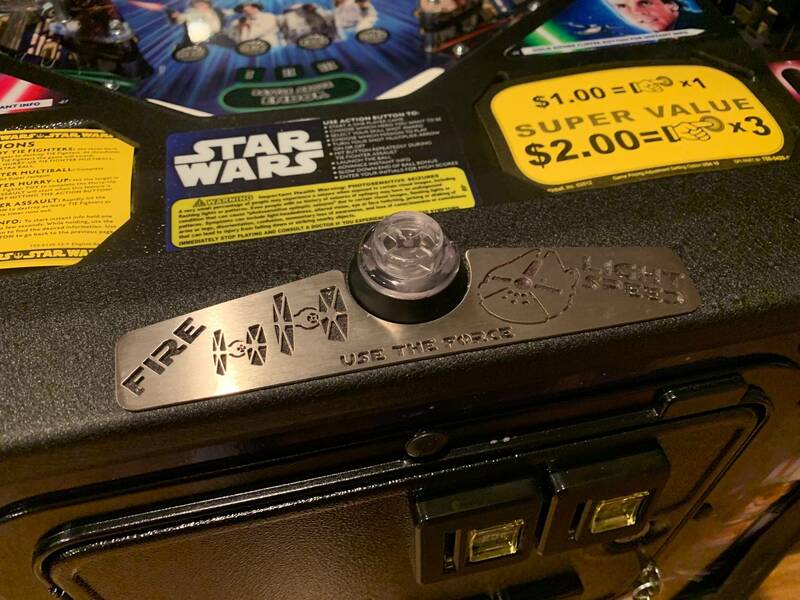 We just came off of playing a ton Monster Bash and hadn't spent too much time to understand the mechanics of this game... learning the mechanics of Star Wars is light-years more complex compared to MB. If you walk into this game blind, you MUST pay attention to the instructions provided on the displays, otherwise you are immediately lost and you will quickly find your self just keeping the ball alive. So first impression (Star Wars goodness aside) can be misleading if you don't pay attention. 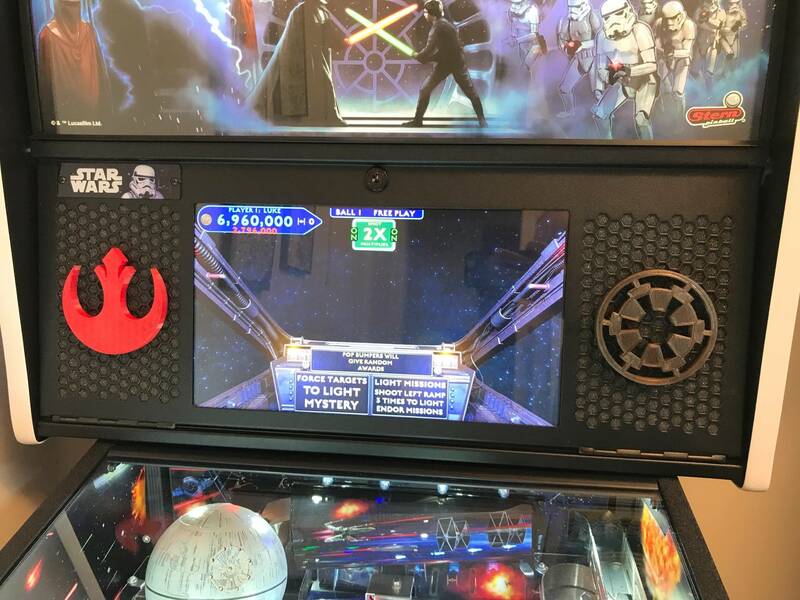 If I could critique this game a bit it would be on the interactive video mode, its pretty lame IMHO... Star Wars is ripe with video mode options... 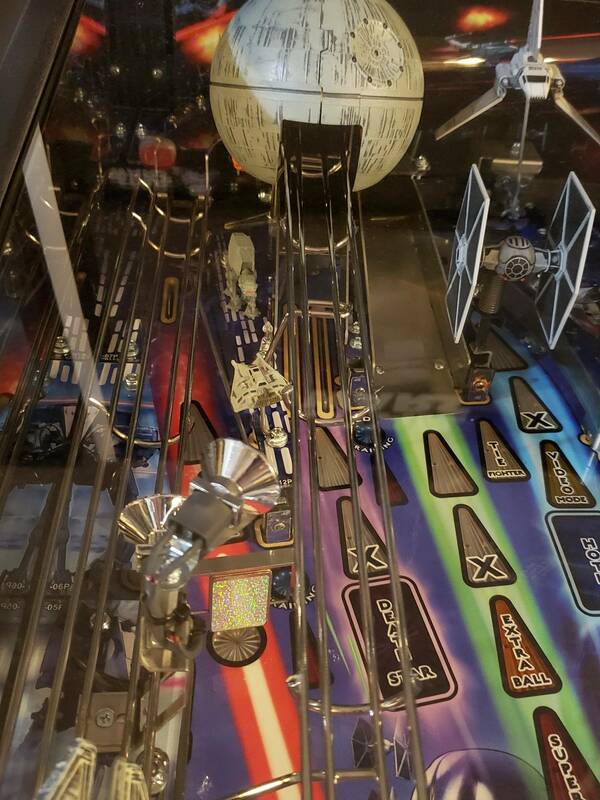 I feel like having just the asteroid field is very repetitive and a missed opportunity for this pin. Having a video mode per mission would have been really cool. I'm satisfied with the pro, I've never played the premium but there is enough here to keep me going for a while. - Tatooine Search for R2 - Landspeeder perspective, time based, desert rocks, obstacles. Obstacles knock off your time/bonus... similar to Asteroid field. Maybe add a scanner so you can tell if your headed towards R2. 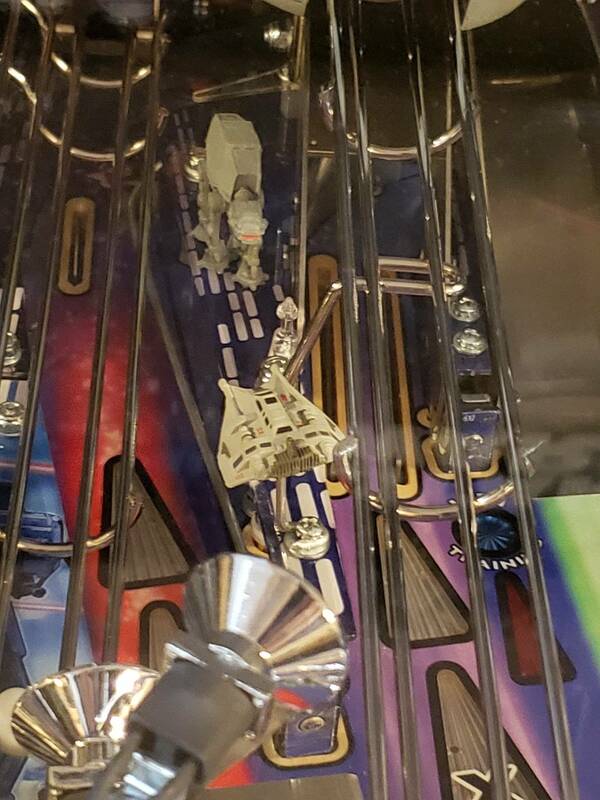 - Hoth Probe Droid Attack - Probe droid is able to move around and hide behind snow banks, your objective is to destroy, more than hit required, time based bonus. Droid self destructs if you don't complete the mission in time. - Death Star - Trench run, avoid trench obstacles, knock out guns (like the star wars video game). I know its been done to death but it would work just fine IMHO. - Endor Death Star Run - Maneuver through the super-structure, without wrong turns or collisions. Like the mine car run from IJ rewards based upon number of correct maneuvers. - Endor Speeder Bike Chase - Although this is already a mission, I think this really should have been an interactive video mode. This is basically a re-skin of the Endor Death Star run... but would be a nice variation. Maybe add a enemy you can hit with the action button. 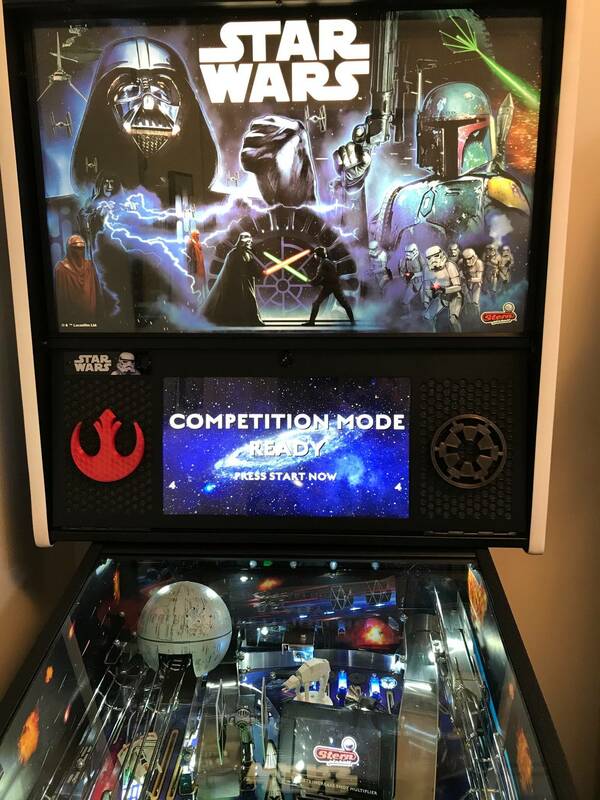 I know its not a video game, its a pinball machine, but I think of all the great video modes in my IJ machine and they are fun breaks in the game. Joined the club. 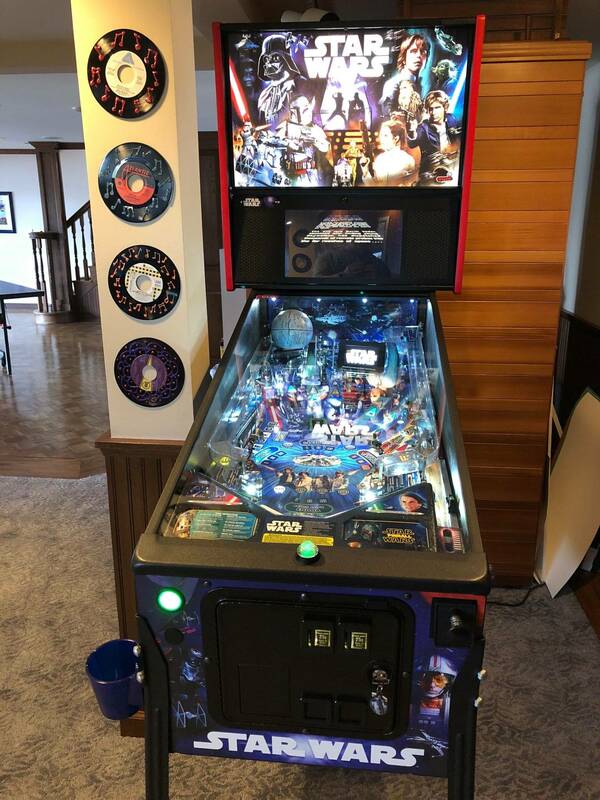 A co-buy with a friend of me. Your 2 spot lights are facing the wrong direction. They should point towards the Falcon. 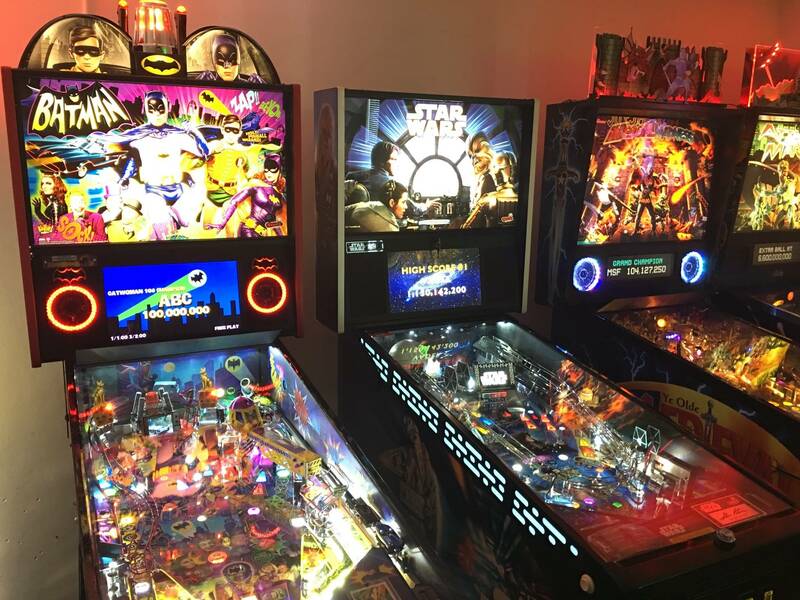 You will see how it lights up the playfield when you adjust them. 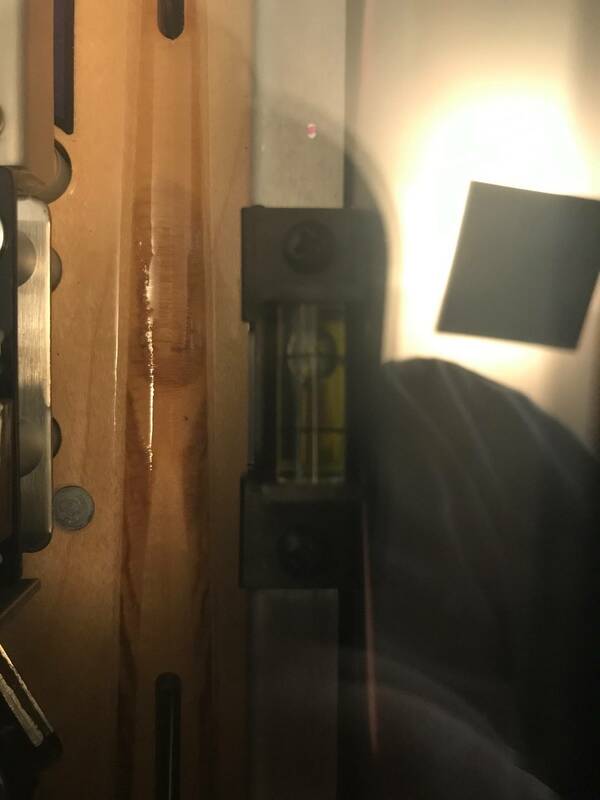 I had a tighten my screws a few times until I finally got it to stay in place. Every picture I’ve seen shows them facing parallel to and in between the ball drop and hyper space loop. Are you saying intended position should put at approximately 45 degree and with them pointing at Death Star mission I and III inserts? I grabbed this pic from a few posts back. 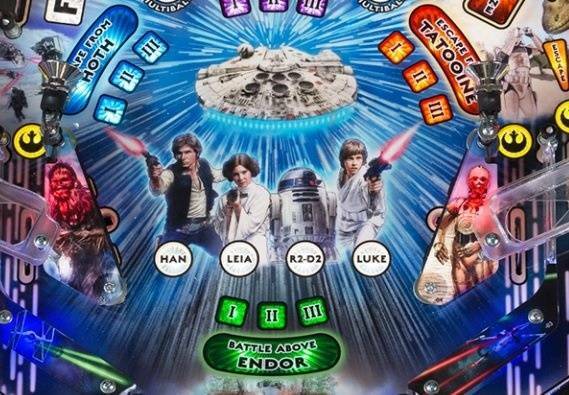 See how much it lights up the Falcon and the playfield. My SW was doing the same thing. The spot lights keep moving. I recently moved both to face forward under the guise this was the correct orientation. Is that not the case? Just joined the club with a NIB premium. What a fun but challenging game! 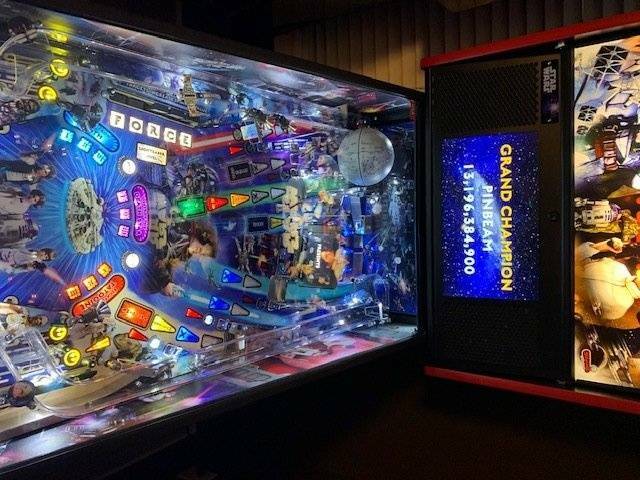 Only problem I had with mine is that the death star releases the ball right down the middle. Other wise I love this game. Now I just have to figure out what the hell I am doing. The objectives are kind of hard to follow. This picture is from the flyer for the pro model. If you look at the spot lights, they are facing almost straight, but the Falcon is well lite. In reality, if you point you spots like this, that area is dark. I suspect they took this pic with professional studio lights. Bottom line is you own the game and can do what you want to it. Personally I think its too dark with the lights pointed the way they are in this picture. 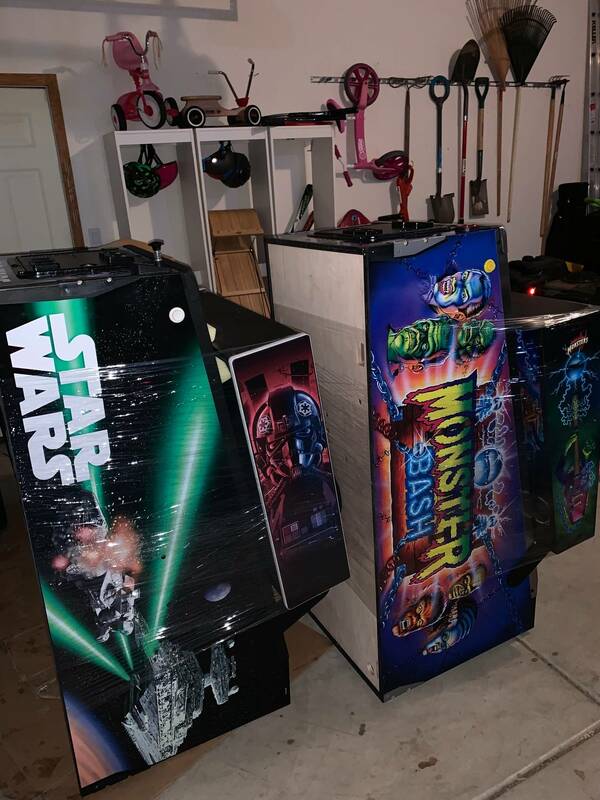 Last night my son and I added a few more mods to our game. I wouldn't put much stock in Stern early promo pictures. 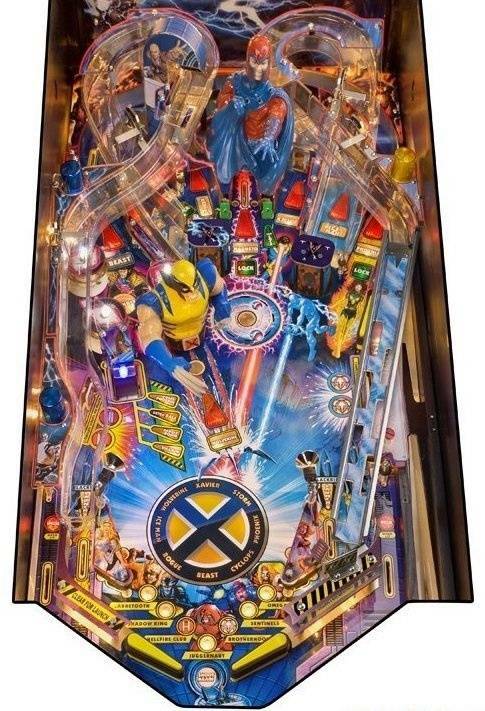 The ones for X-men LE had all of the LE features photoshopped (or just mounted) onto the Pro playfield. Wolvie position different (as he actually should have been on the LE), no ramp docking area on the left ramp and how would that right ramp move to the left with that post and spotlight in the way on the right slingshot? The real scary part is the LE was released first....yeah....a bit of a rush job on that one. Wow nice !! Where did you buy it ?